Yesterday (13 November), the Land Transport Authority (LTA) said it had impounded 42 personal mobility devices (PMDs) operated by three local e-scooter sharing firms, Neuron Mobility, Telepod and Beam. 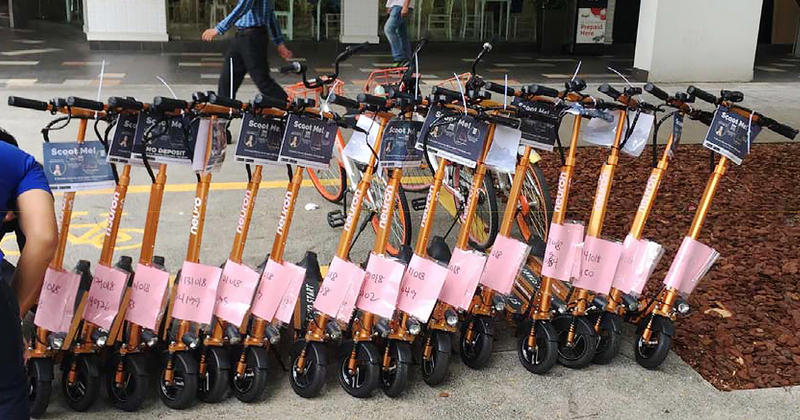 According to LTA, the e-scooters were impounded because they were “found available for hire at public places” despite the firms not having the required licenses or exemptions from the Minister of Transport. 26 of these PMDs belonged to Neuron Mobility, 15 to Telepod, and 1 to new entrant Beam, which was recently reminded by LTA that it had to wait till January 2019 to apply for a license before it could commence operations. Telepod, which was first launched at Suntec City and Nanyang Technological University (NTU) in 2017, had been granted an exemption allowing them to provide shared-PMDs within one-north, due to an existing agreement they have with landowner, JTC. However, Telepod and Neuron Mobility’s e-scooters were found in public places around Bencoolen Street and Bayfront Avenue, beyond the boundaries where they were permitted to operate. LTA says it is currently carrying out investigations on the two firms. It also reminds operators that their track record and compliance with regulations will be considered during future license applications. In response to LTA’s statement, a Telepod spokesperson told TODAY that the firm has only been deploying PMDs “responsibly” in approved areas under private land owners, such as one-north. “As a result of our operating track records, we have gained many partnerships to extend our services to private lands and estates beyond one-north,” Telepod said. They added that the firm is actively taking action against users who park the shared e-scooters indiscriminately, with measures including warnings and fines. 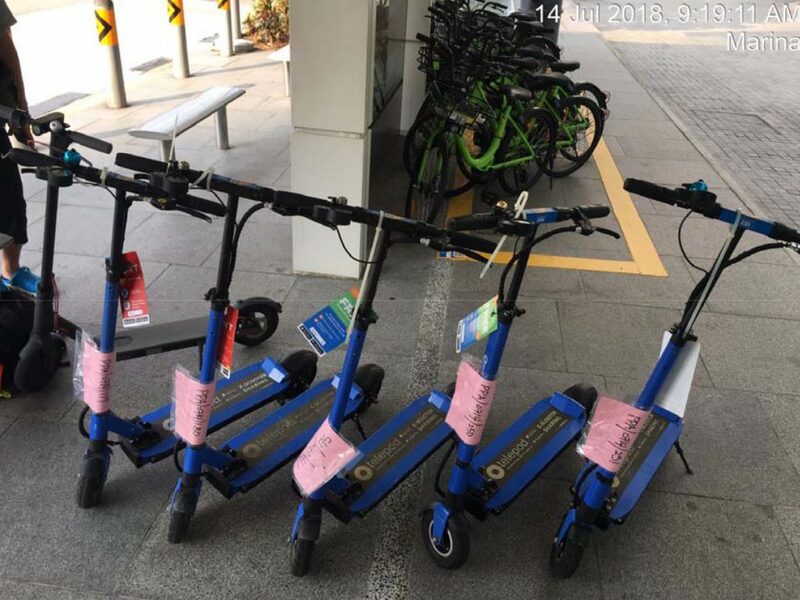 On the other hand, Beam said only its staff have been riding the e-scooters, stressing that they are not renting to the public yet. Beam’s Vice President of Corporate Affairs, Christopher Hilton was unable to confirm if the impounded e-scooter was being used by an employee. 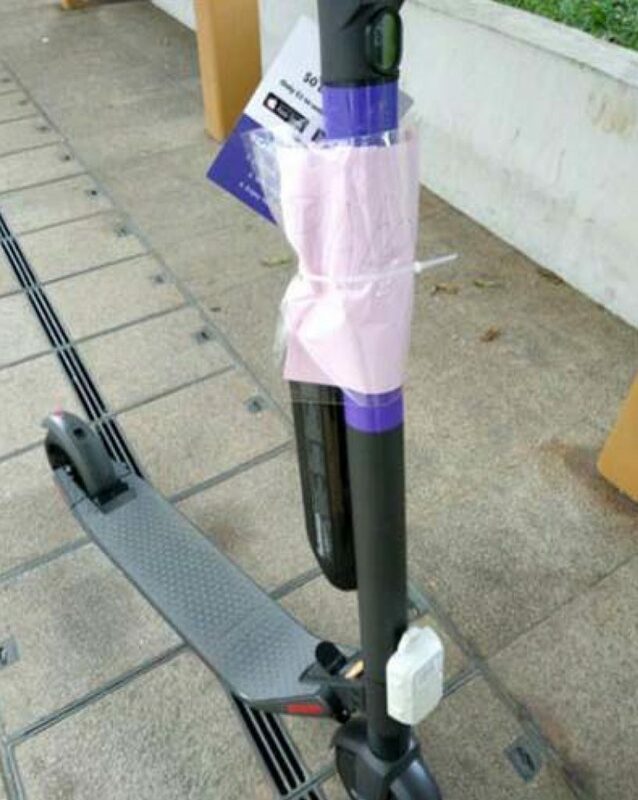 However, the single Beam e-scooter LTA impounded was found at Bugis MRT station, which is close to Beam’s office at Beach Road. 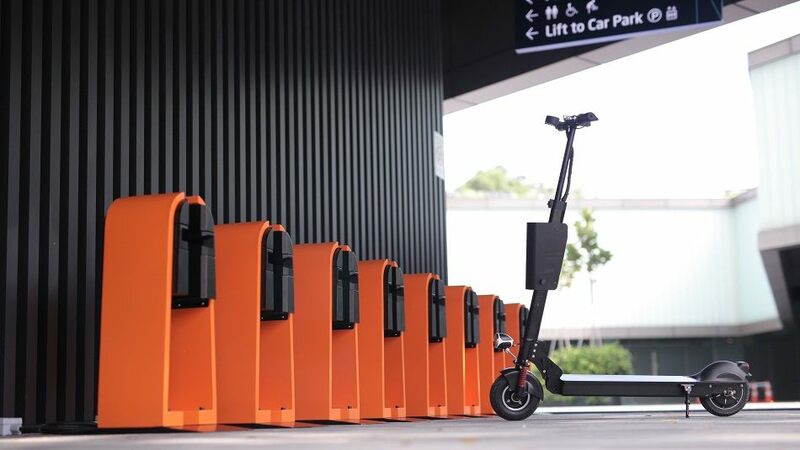 Hilton also said Beam previously deployed 15 e-scooters for hire to conduct a trial test, but has stopped the practice since 1 November, after receiving a notice from LTA on 30 October to remove the PMDs. Vulcan Post has reached out to Neuron Mobility, but we have yet to receive a response. This year, LTA has been coming down harder on shared mobility firms to tackle the steep rise in indiscriminate parking and obstruction of public places that came with the popularity of dockless bicycles and e-scooters. With its new licensing scheme for bike-sharing companies, the number of shared-bicycles around the country has reduced from over 100,000 to 40,500 bikes by November 2018. Only 6 bike-sharing firms will be operating in Singapore after they were granted licenses in September. They are Mobike, ofo, SG Bikes, Anywheel, GrabCycle and Qiqi Zhixiang. They are required to keep their fleets within the maximum sizes approved by LTA, and must enforce responsible parking among their users with penalties like warnings, fines and bans for errant behaviour. Licensing fees also raise the bar to entry, as firms have to pay $1,500 just to apply, and $60 to deploy and furnish a security deposit for each bicycle upon receiving a full license. 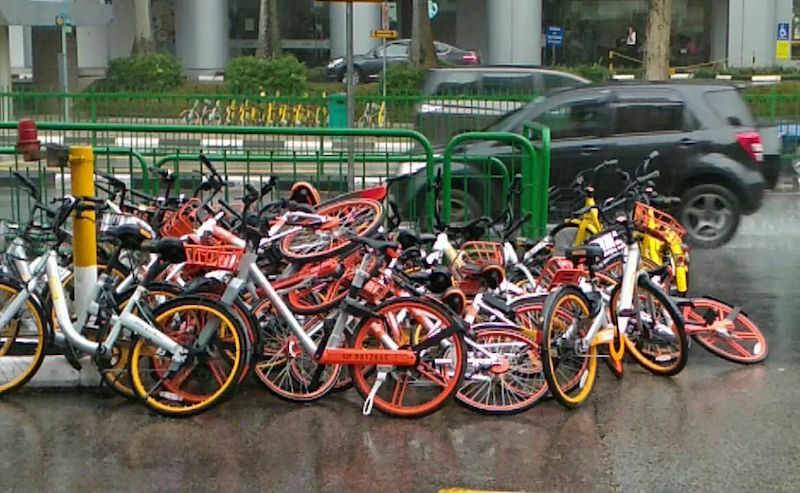 Bike-sharing firms that fail to comply with LTA’s regulations could face fines of up to $100,000, reductions in fleet size, suspension or termination of their licenses. Unlicensed operators, on the other hand, risk up to $10,000 in fines and/or up to 6 months in jail. Regulations for e-scooter-sharing firms are slightly different, as they have been mostly limited to operate in private areas so far. Firms intending to provide shared-PMD services have to apply for a license during the next application exercise, which will happen in January 2019. With the impounding of Neuron Mobility, Telepod and Beam’s e-scooters, LTA reminds firms that the penalties for unlicensed operators include a fine of up to $10,000 and/or a jail term of up to 6 months. Where this differs from the penalties on unlicensed bike-sharing operators, is that shared-PMD operators can also incur additional fines of $500 per day if they continue providing their services after being convicted. This, perhaps, is reasonable given that the higher speed of electric scooters make them more of a potential hazard on pedestrian pathways if not used responsibly. While the LTA, and shared-mobility firms, are both pushing towards a common vision of a car-light Singapore, it seems that it will take some time before they can strike a balance between providing sufficient services for the public and ensuring safety and order. And of course, users’ behaviour will continue to play a part in defining the sharing-economy too.